It is the time of year when pumpkin, and apples, are found in everything from coffee drinks to ice cream. 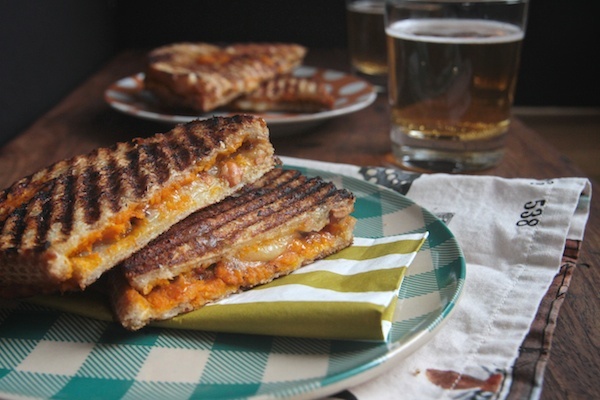 Grilled cheese sandwiches are not immune to this fall craze and so I begin this Grilled Cheese Roundup with a couple of delicious recipes for pumpkin grilled cheese sandwiches. Keep in mind, though, I have created a few fall grilled cheese sandwiches of my own which are definitely worth checking out. 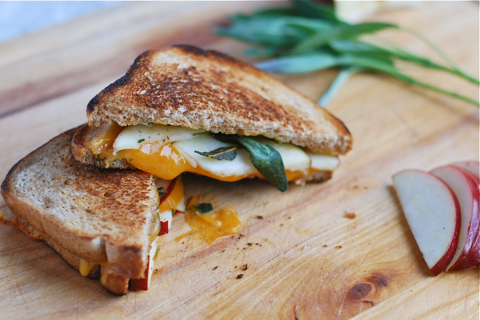 This grilled cheese features fresh, not canned, pumpkin, which creates a very fresh flavor. Mix that with gruyere cheese, some seasoning and sourdough bread and you have yourself the perfect fall treat. I focused on the filling for this sandwich. I knew I wanted something seasonal and pumpkin seemed like an appropriate choice. 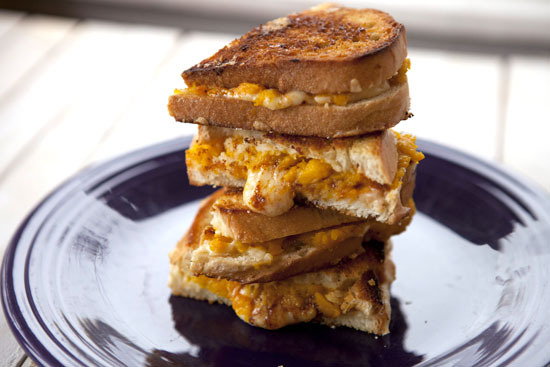 This grilled cheese turns the pumpkin idea on its head by adding homemade hazelnut brown butter and anise creating an extra crunchy texture. 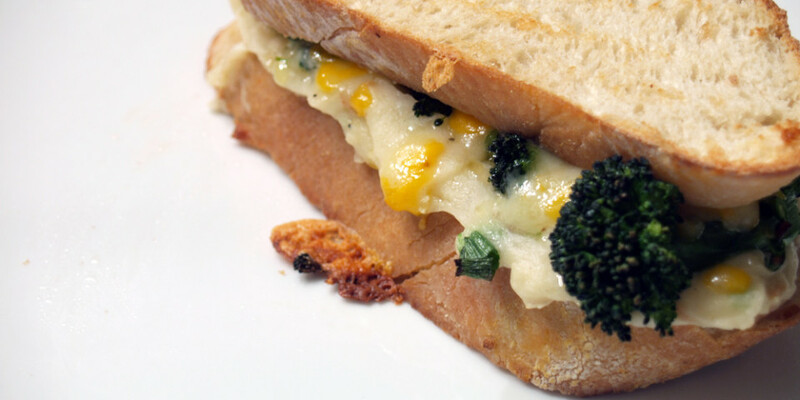 Making everything from scratch adds some prep time to this grilled cheese but it definitely seems like it is worth it! 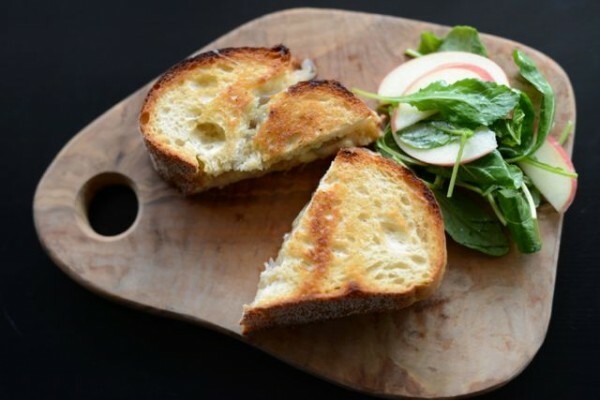 This grilled cheese sandwich is buttery & crispy and just when you think you’re crunching into a bite of the grilled bread, you realize it’s a hazelnut. The hazelnut brown butter makes it extra crunchy. I love extra crunchy. Who doesn’t? That dude who ordered his hash browns to be NOT crispy at that restaurant we went to. That’s who! You’ll find creamy sweetness from the pumpkin, a hit of sage and a subtle note of anise in this sandwich. There’s something kinda sausage-like about it, yet it’s 100% vegetarian. 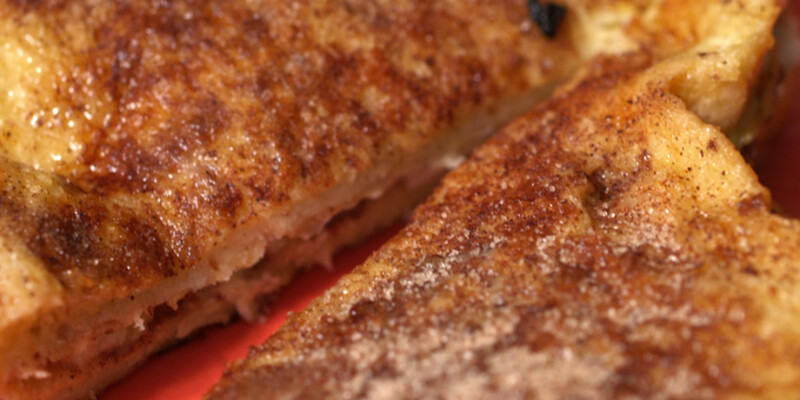 Not to be outdone by pumpkin and pumpkin pie grilled cheese sandwiches, the apple pie grilled cheese has stepped up to the plate. Sauteed with a bit of butter and maple syrup and then tossed with warm pie spices, apple slices are taken to a whole new level of deliciousness. 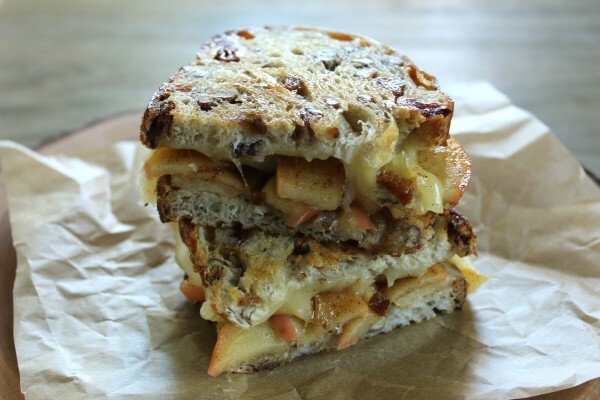 The sauteed apples are layered with cheddar cheese slices between two pieces of hearty bread studded with dried fruit and nuts. 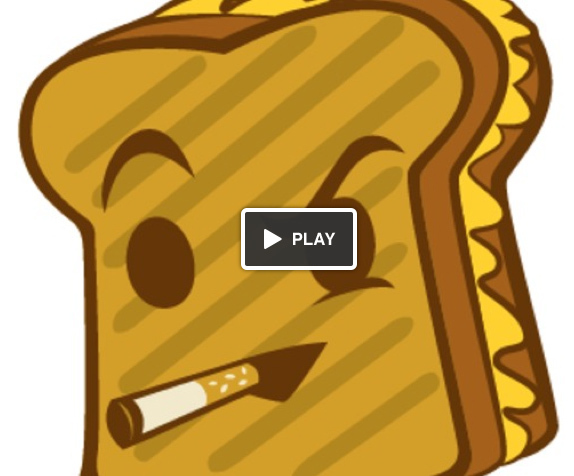 The assembled sandwich is cooked grilled cheese-style until the cheese is melted and the bread is crisp & golden brown. The apple in the grilled cheese, at this point in the life cycle of the grilled cheese sandwich, is not that unique. However, the addition of toasted sage is and melds well with the cheddar cheese. Inspired by both these scenes, we prepared this grilled cheese sandwich with apples and toasted sage leaves. Norman Bates may be a psycho, but his instincts in the comforting sandwich-making department are spot on. On a dreary rainy night or when you’re recovering from a setback, a warm sandwich is a quick and easy way to get your self feeling okay again (no matter what awaits you later in the evening). Until I started working on my cookbook, I had never heard of quark. I didn’t even know it was cheese, let alone something you could eat. Thankfully, I stumbled on it at the local market and ended up using it one or two dessert recipes with great success. It is very unique with a weird texture, but definitely worth trying in a recipe or two. If you find yourself with a container of quark and don’t know what do with it, look no further. Make a topping for pancakes or waffles. Use it as part of a filling for crepes or homemade Danish pastries. 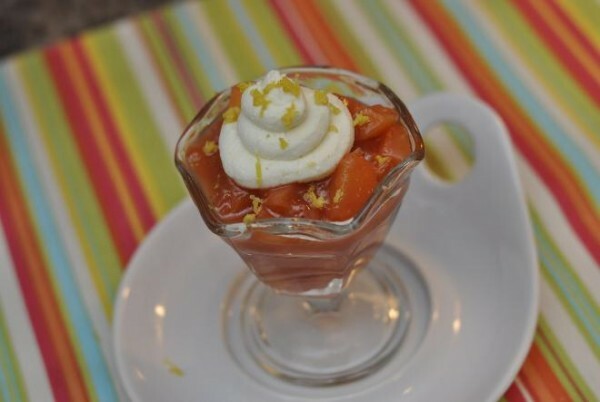 Mix in preserves or honey to make a dip; serve with fresh fruit. Add it to your mashed potatoes. Put a dollop on top of soups. Add it to smoothies for extra protein. 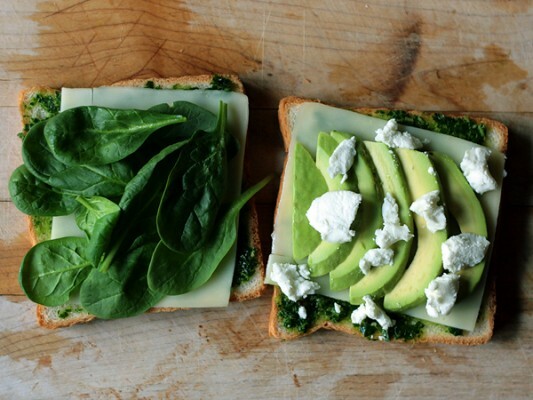 Spread it on a bagel instead of cream cheese. Mix it with garlic and dill for a savory vegetable or crostini spread. Bake it into cakes and soufflés. Create a chocolate pudding by mixing quark with cocoa powder and sugar. 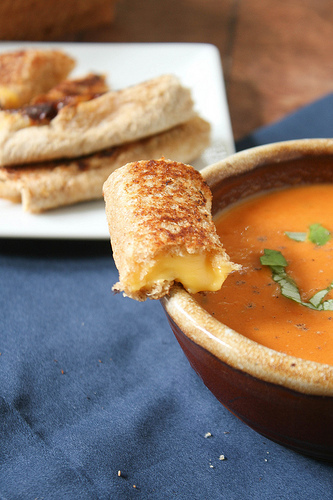 Grilled cheese rolls. Wow. These looks absolutely amazing and oddly enough, simple to make. Why I didn’t think of this sooner?! Dainty Chef, I tip my hat to you. Sautéed shallots and thyme in a grilled cheese sandwich? With Gruyere cheese? Delicious! Shallots are a very versatile and delicious ingredient that should be used more often. Especially in grilled cheese sandwiches. Okay, okay, I know what you are saying, “Healthy grilled cheese sandwiches are an oxymoron.” That is what I thought when I read the headline as well, but then I actually looked through the five makeovers. Their suggestions, although a little obvious, are pretty great. 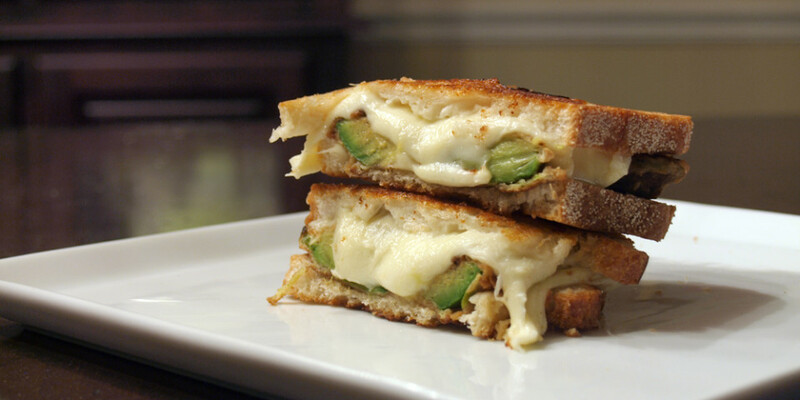 Avocados are delicious, roasted tomatoes are yummy and no bread in a grilled cheese is a great idea. All around, definitely a good read.